The TRP-C39 fiber converter allows RS-232/422/485 signals to be bi-directionally converted to fiber optic and extend the distance up to 2KM over multi-mode. By using fiber optic transmission technology TRP-C39 secures a stable and error free data transmission over the industrial environments present electrical noise and ground differential challenges, especially over long distances. TRP-C39 support data format, baud rate and data direction auto configuration, it also provides with 3000V DC isolation and internal surge protection. The industry DIN rail and panel mounting design enable user a fast and professional installation. Wide range power input voltage. 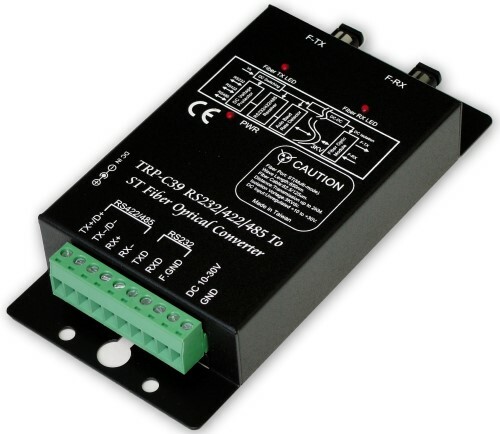 Automatically switch signal RS-232, RS-422 and RS-485. Support 3000V DC isolation protection. All RS-422/485 signals provide surge and over current protection. Fiber transmission distance up to 2KM . 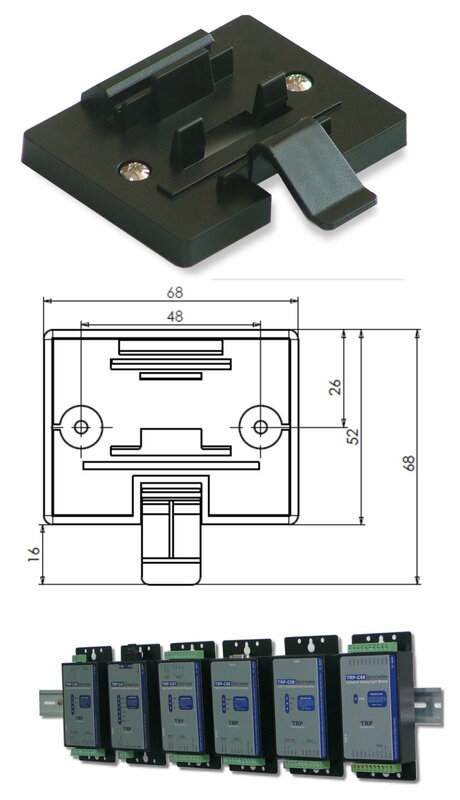 Support Din-Rail and panel mount. Interface: RS-232/422/485 auto switching to Fiber (Multi-mode). RS-232: 3 full-duplex (TXD, RXD, GND). RS-422: Differential 4 full-duplex wires ( TX+ , RX+, TX- , and RX-). RS-485: Differential 2 half-duplex wires (D+, D-). Cable: Fiber ST Cable (62.5/125um). Distance: RS-422/485 up to 4000ft . ( 1250M ), and Fiber up to 2 KM . Baud Rate: From 300bps to 115.2kbps (maximum). Dimension: 151 mm X 75mm X 26mm .